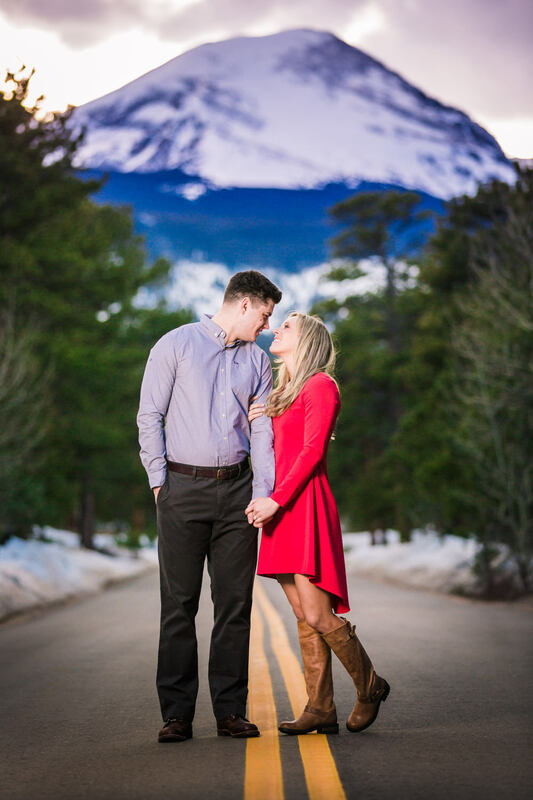 The rocky mountains are an incredible place to shoot engagement pictures. I love Colorado and the scenic views around every bend. 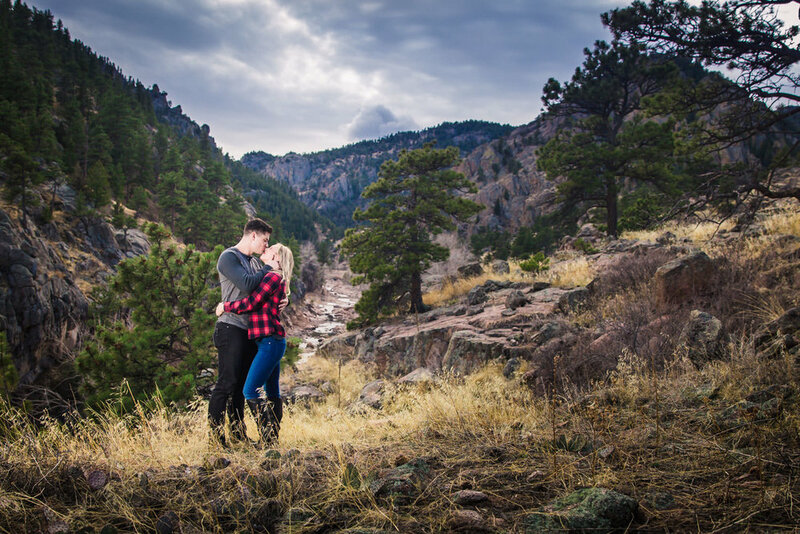 When planning this engagement session with Taylor and Gary, we discussed possibly shooting at some of the popular locations along the Front Range but then decided it would be more fun to spend the whole afternoon going up the mountains along Hwy 7 (the Peak to Peak Highway) and just stopping at any place that stood out to us. 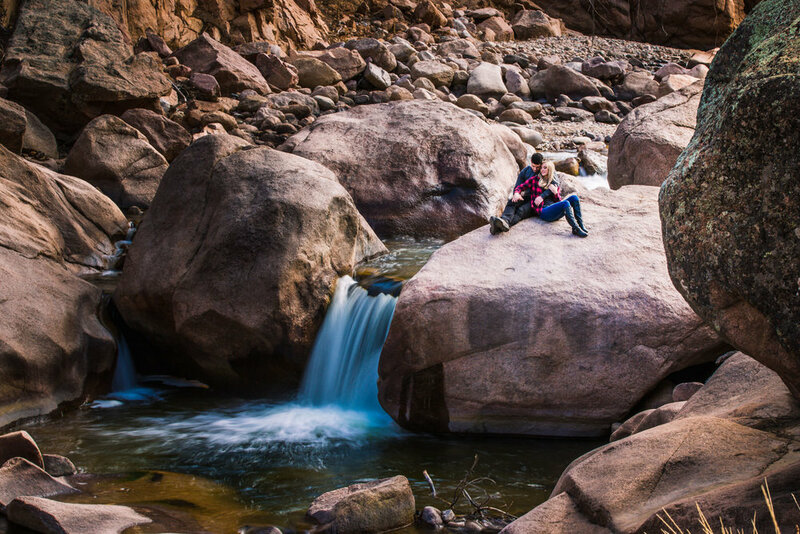 We stopped ten or so times along an 80-mile stretch and had a wonderful time conversing and getting prepared for their wedding, which is just a few weeks away. Right when we thought we were about done with the session, the sky lit up with the most spectacular colors. It only lasted a few minutes, but we'll never forget it.